Absolutely in PRISTINE CONDITION !!! This one owner truck is ABSOLUTELY IN PRISTINE CONDITION !! 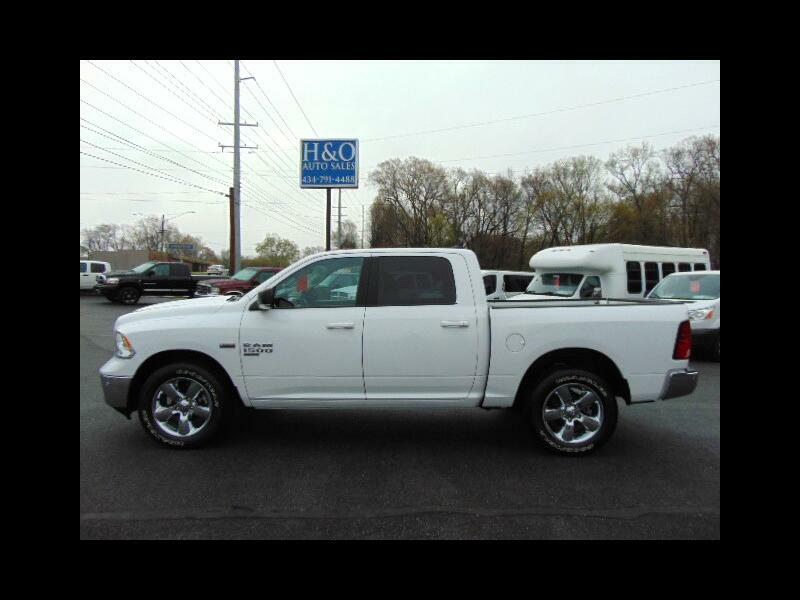 It has the SLT BIG HORN package with a 5.7 liter Hemi engine, 4x4, towing package, power drivers seat, power sliding rear window, rear parking camera, dual climate control, steering wheel controls, front and rear park sense, remote start, 20" chrome wheels, led cargo lighting, and keyless entry !!! This truck has full factory warranty remaining until 11/06/2021 or 36,000 miles as well as power train until 11/06/2023 or 60,000 miles !!! We have changed oil and filter !! Give Larry or Steve a call at 1-434-791-4488 !!! Visit H & O Auto Sales online at www.handoautosales.com to see more pictures of this vehicle or call us at 434-791-4488 today to schedule your test drive.